Any seasoned nurse educator will tell you that nursing education is a calling. It requires a foundation of evidence-based teaching strategies, a little creativity, and a commitment to excellence in order to be the most successful. During the 7th annual Nuts & Bolts conference, you will not only hear strategies from some of the top nursing educators in the country, but you will work alongside them to improve your classroom, clinical, and lab learning environments. This year’s focus on evidence-based teaching will help with every course in the curriculum. Hands-on activities help you master practical strategies for teaching and learning in fundamentals, maternal-child, medical-surgical, health assessment, and much more. Free Wi-Fi will be available. Develop evidence-based connections between clinical, simulation, and classroom learning. Create classroom and clinical learning activities that promote clinical reasoning. Develop evidence-based learning experiences based on the NCLEX® client needs. Identify assessment strategies that provide valid, reliable data for program development. Identify factors that create barriers to student success in the classroom and on NCLEX®. Analyze evidence-based tools for developing a culture of student success. Describe proven strategies to support faculty and curricular success. Identify strategies to balance faculty workload while enhancing quality. Back by popular demand! This year the Tool Box will have over 100 tools mapped to the NCLEX® Test Plan and the QSEN Competencies. These ready-to-use tools help educators quickly implement evidence-based learning strategies that engage learners. Start the first day of classes with the tools you need to help your students excel. This conference is designed for clinical instructors, nurse educators and administrators in PN/VN, ADN, diploma, and BSN programs. Because of the active learning focus, other health care educators will benefit as well. Business-casual attire is appropriate for the conference. Please note that the temperature in the meeting rooms varies; dress in layers to ensure your comfort. Submit by July 1, 2015. Consider submitting a poster related to nursing education or an evidence-based clinical study with implications for nursing education. Abstracts will be peer-reviewed and notification of acceptance will occur by July 15. For complete poster presentation guidelines, you may download the guidelines. 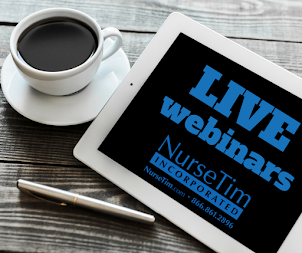 For questions, please email mandy@nursetim.com or call 952.423.8659. Up to 23.5 hours of nursing continuing education will be awarded upon completion of CE criteria. NurseTim, Inc. is accredited as a provider of continuing nursing education by the American Nurses Credentialing Center’s Commission on Accreditation. CE completion criteria includes: payment of conference fee, attendance of the entire session, and submission of a completed evaluation tool. All faculty and planners at nursing continuing education activities are required to disclose to the audience (1) any significant financial relationships with the manufacturer(s) of any commercial products, goods or services and (2) any unlabeled/unapproved uses of drugs or devices discussed in their presentations. Such disclosures will be made in writing in the course presentation materials.